I got a phone call today from a 4th grade teacher. Each year the kids have a project. This years, it’s Contemporary American Realism. And I was picked as the representative artist. What an honor! The kids will copy one of my paintings. 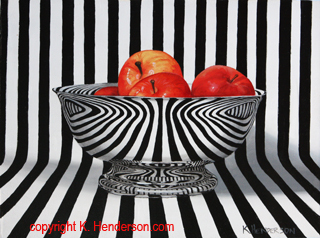 The painting they chose was Apples and Stripes. Yikes! That’s quite an ambitious projects. I hope I get to see some of the paintings. 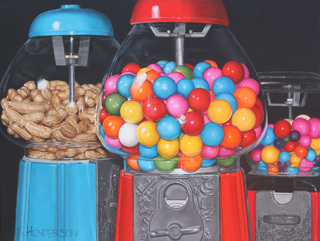 Gumballs and Peanuts is 18″ x 24″ oil on canvas. 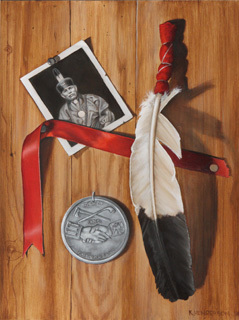 ‘Peace Medal‘ is 12 x 9, oil on board.